This fun card uses two challenges. First, I used The Paper Players#301 here, a sketch challenge. 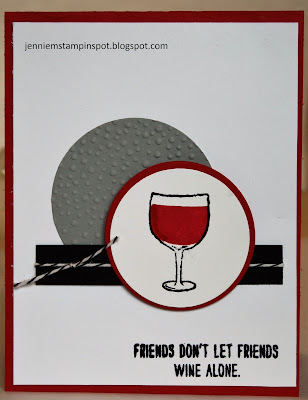 And second, Pals Paper Arts#307 here, a color challenge to use Real Red, Pool Party and Night of Navy. 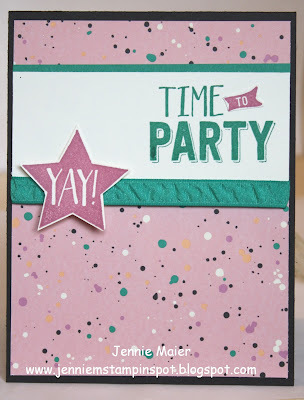 Mixed Drinks is the stamp set with some Brights Color Collection DSP Stack. Kudos to the Freshly Made Sketch! This card uses the Freshly Made Sketch#243 here. Perfectly Wrapped is the stamp set with some Playful Palette DSP Stack. I fit THREE challenges into this card! First, I used the FabFriday#89 here, for the sketch. Second, the Global Design Project#041 here for the color combo- Sweet Sugarplum, Night of Navy and White. And third, The Paper Players#300 here, for the Clean and Simple Challenge-Celebration. Confetti Celebration is the stamp set and I ran the WW card stock thru the Lucky Stars embossing folder. This card is for two challenges. First, I used the Freshly Made Sketch#242 here. And second, I used the Can You Case It#125 here. This is a color challenge to use Red, Gray White and Black. My computer is back but I lost my photo editing software so I gotta figure these pics out-bear with me! 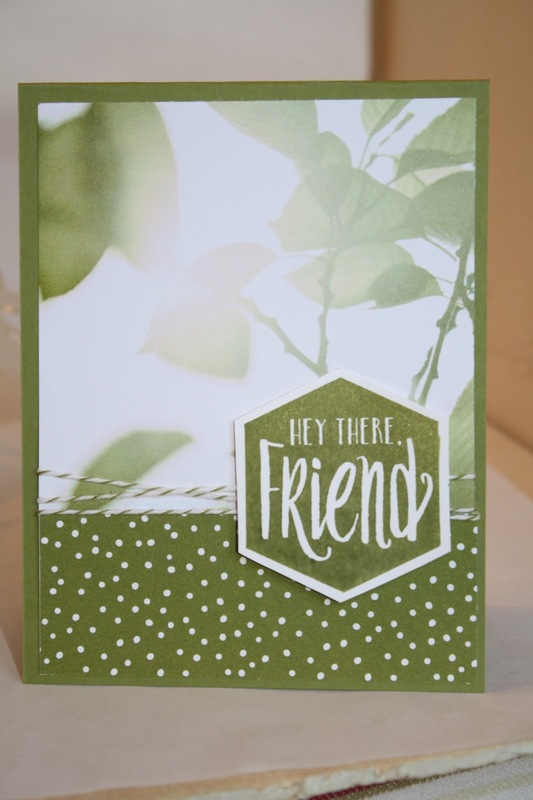 This card uses the Create with Connie & Mary#411 here. Thoughtful Banners is the stamp set with some Serene Scenery DSP Stack. This thank you uses the MojoMonday Sketch#453 here. Perfectly Wrapped is the stamp set with some Playful Palette Designer Washi Tape. This card uses the Can You Case It#124 here. It's a water coloring sketch so I used all the new In-Colors with some water coloring paper. 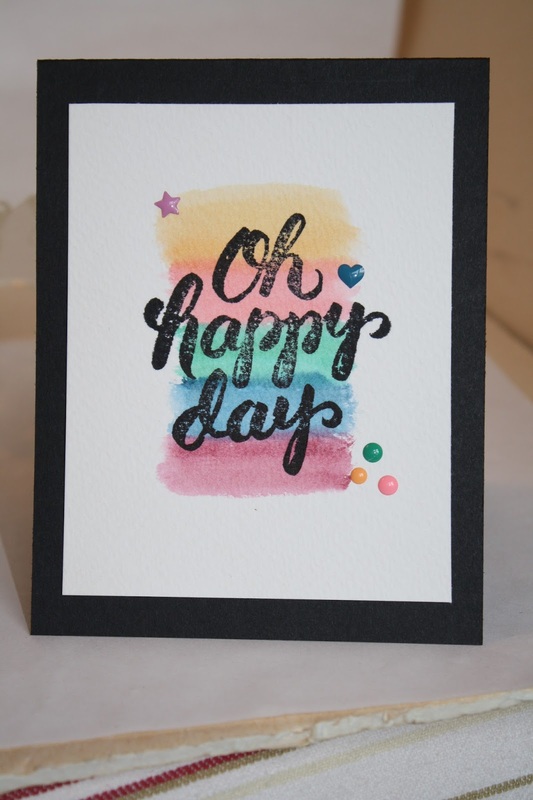 Scenic Sayings is the stamp set with some new 2016-2018 In Color Enamel Shapes. Still no computer for me so I'm using the hubby's to share today's card for the Freshly Made Sketch#241 here. The Scenic Sayings stamp set pairs SO well with the Serene Scenery DSP Stack! My computer is down so pardon the picture quality but I had to play with a new stamp set, Thoughtful Banners. I used the Mojo Monday Sketch#452 here and the Splitcoast Sketch Challenge#587 here. The colors are Tangerine Tango, Daffodil Delight and Bermuda Bay. Also used the flower from the Perfectly Wrapped stamp set and some Brights Color Collection DSP Stack. Also, used new accessories, Layering Squares Framelits, 1/8 inch Bermuda Bay stitched ribbon and a Brights Enamel Shape. 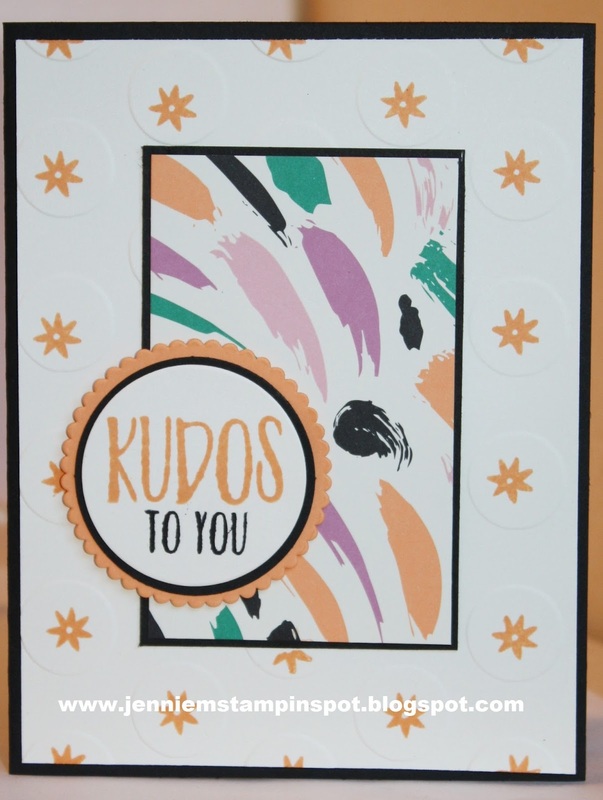 This thank you card uses the TGIF Challenge#59 here. This new stamp set, Perfectly Wrapped, is going to be one of my favorites! I paired it with some Serene Scenery DSP Stack. Another new stamp set, Mixed Drinks, is among my favorites from the new catalog. 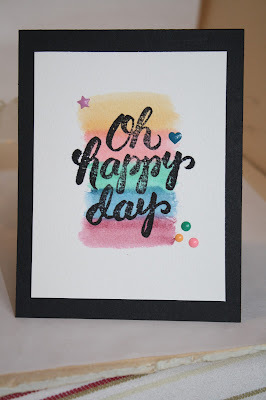 It's the perfect set for the Hand Stamped Sentiments#239 here! And I also used the Pals Paper Arts#304 here for the sketch. 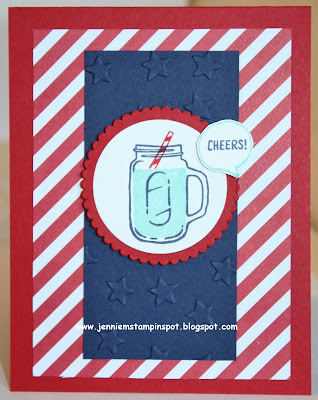 Again, Mixed Drinks is the stamp set with some Pop of Pink Specialty DSP. More New Stamps and DSP! My new catalog order arrived and I had to play! I used the new stamp set, Scenic Sayings, with some new DSP, Serene Scenery DSP Stack. I also used the Freshly Made Sketch#240 here. The new Playful Palette Designer Washi Tape is the focus of this graduation card. 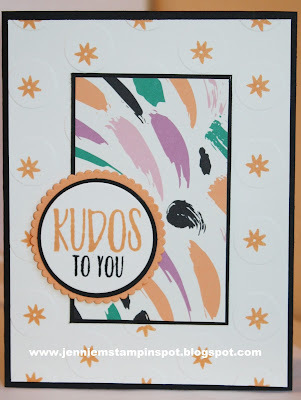 I also used the Confetti Celebration and Crazy About You stamp sets. 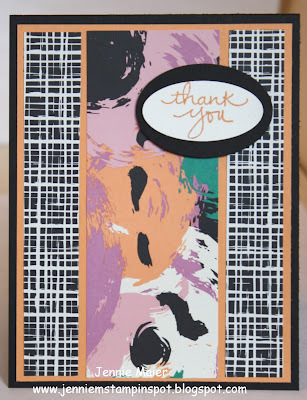 I needed to make another thank you so I used the Splitcoast Sketch Challenge#595 here and the Endless Thanks stamp set again. Also used the new Playful Palette DSP Stack. This thank you uses the Freshly Made Sketch#239 here. 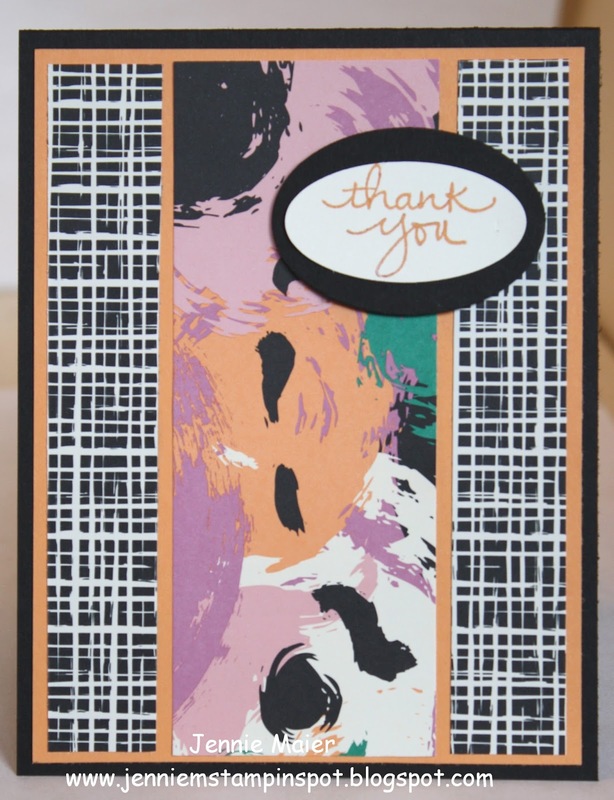 Endless Thanks is the stamp set with some Pop of Pink Specialty DSP. 2016-2017 New Catalog is Live! 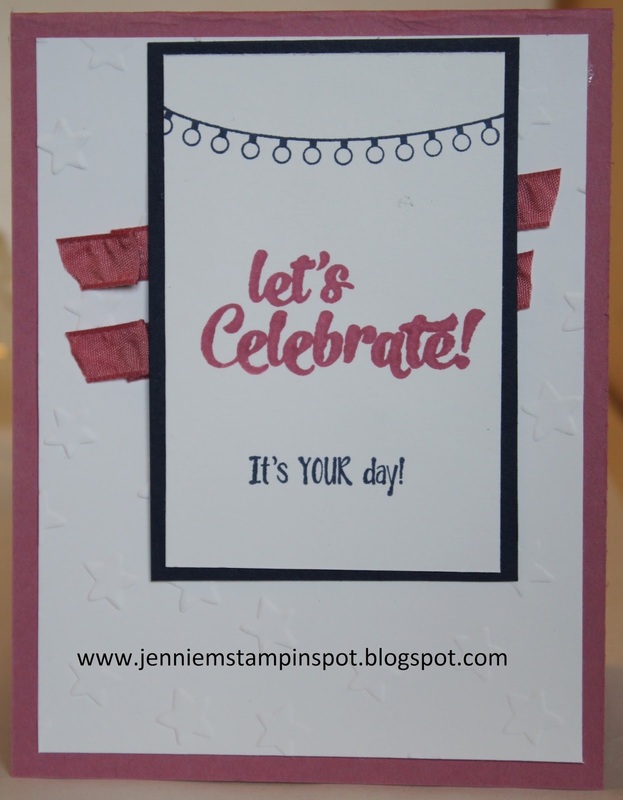 The 2016-2017 new Stampin' UP! Catalog is up for sale! I used some new items to celebrate. And I used the Can You Case It#122 here for the sketch. 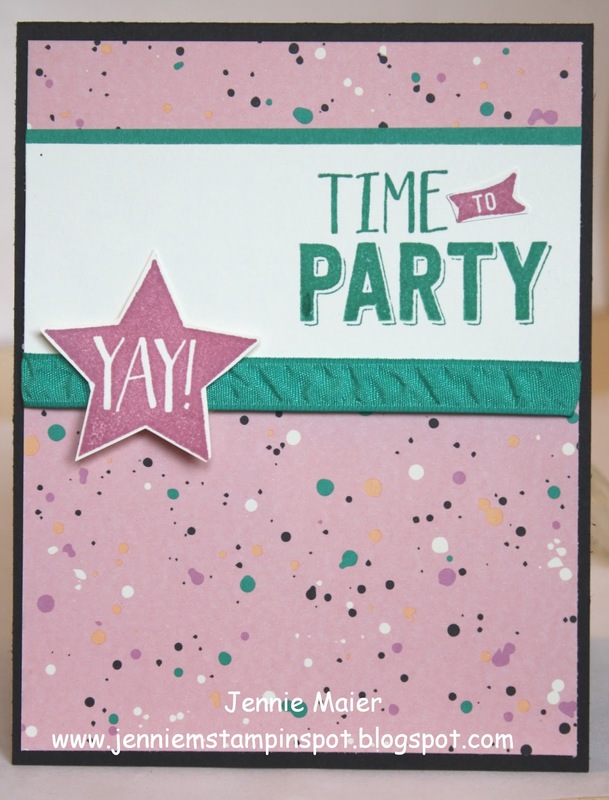 Confetti Celebration is the stamp set with some Payful Palette DSP Stack and some new Emerald Envy ruched ribbon.